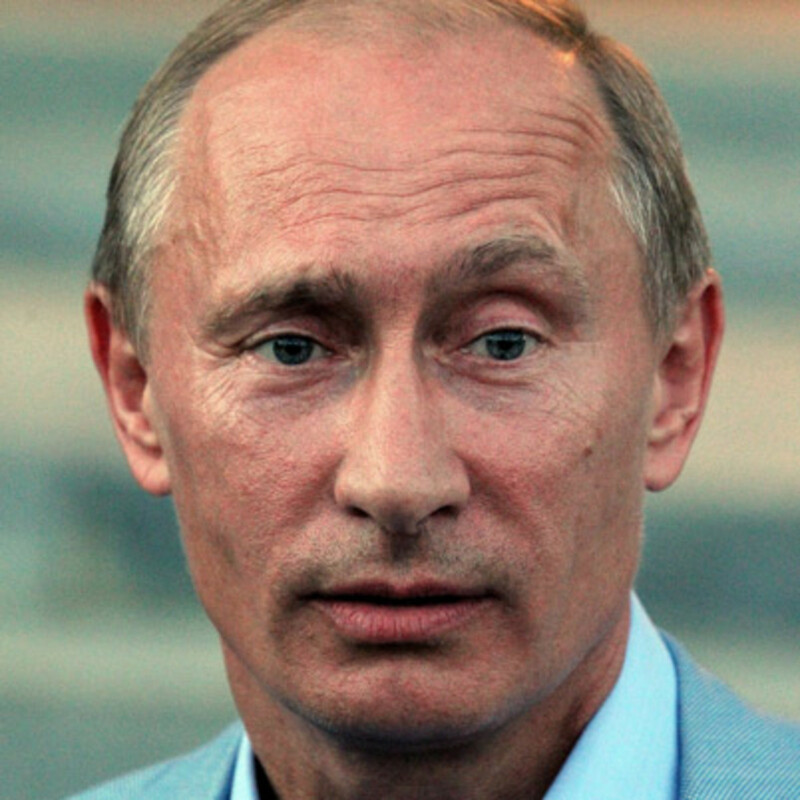 Vladimir Putin is the incumbent president of Russia. He had an acting president, two-time president, and the 36th and 38th prime minister of the country. In his second term in office, he also served as the chairman of the United Russia, a political party of the nation. Before entering politics, he was a part of the Komitet Gosudarstvennoy Bezopasnosti (KGB) as a lieutenant colonel for foreign intelligence. He rendered his service to the Soviet Union from 1975 to 1991. He has helped bring the Gross Domestic Product (GDP) of Russia when he first sat as president. The purchasing peso at that time increased by 72%. This was also due to the 2000s commodities boom. After his term ended, his successor, Dmitry Medvedev, appointed him to the prime minister position. When he was elected president in 2012, the GDP of Russia fell down in 2015 but made it back up with a 0.3% increase in 2016, which lifted them up from the recession. Although he doesn’t have a good rating on the Transparency International’s Corruption Perception Index, he still managed to score high in the domestic approval ratings. 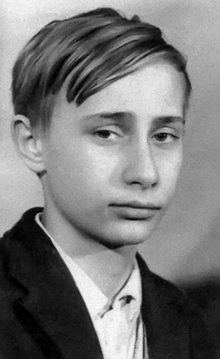 He was born Vladimir Vladimirovich Putin on October 07, 1952. His parents were Vladimir Spiridonovich Putin and Maria Ivanovna Shelomova. He was born in Leningrad (Saint Petersburg), Russian SFSR, Soviet Union. His mother worked as a factory worker. He was the only living child of his parents as he was growing up. His brothers died before he was even born. In the mid-1930s, his brother Albert was born but soon after died as an infant. Meanwhile, his other brother Viktor died during the Siege of Leningrad during the second world war due to diphtheria. 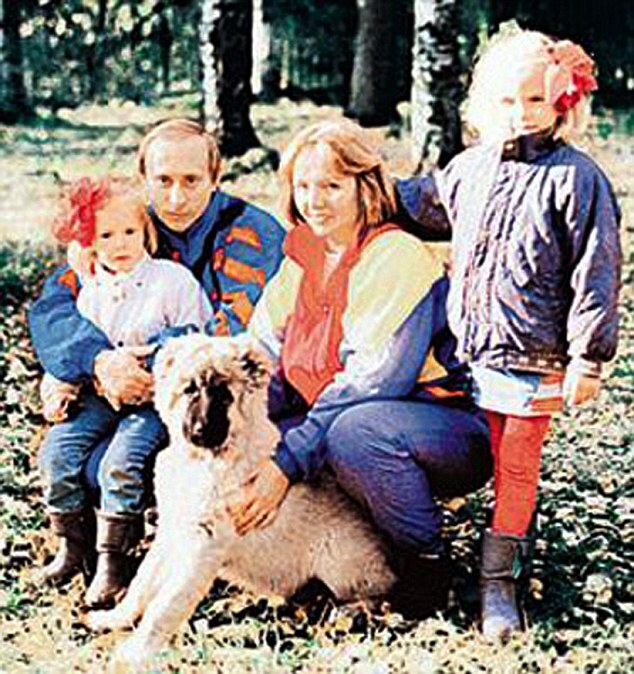 President Putin’s family was affected by the war. His maternal grandmother was killed in 1941 by the German occupants of the Tver region during World War II and his uncles, still on the maternal side, also disappeared in the middle of the war. Due to the mandatory drafting of able men to the Soviet Union, his father became a conscript in the Soviet Navy. In the 1930s, he served in the submarine fleet. He then joined the destruction battalion of the Narodnyi Komissariat Vnutrennikh Del during the second world war. His father was severely wounded in 1942 after he was transferred to a regular army but eventually recovered. 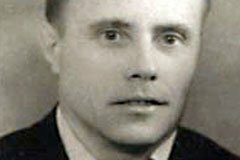 Vladimir Spiridonovich died in 1999. He started studying at Primary School No. 193 at Baskov Lane on September 01, 1960 and was one of the 45 pupils in the class. However, he was not a member yet of the Young Pioneer Organization at this time. When he was 12, he practiced sambo and judo to which he eventually became a national master in sports and a black belter, respectively. He learned both because he wanted to mold himself to be the same as the intelligence officers that he saw in the Soviet Cinema. In high school, he studied at High School No. 281 where he studied German to which he became a fluent speaker of the language. He graduated in 1970. He initially asked the officer in-charge of the KGB for the requirements and qualifications of being an intelligence officer. 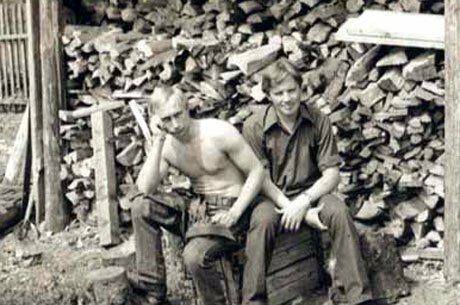 When he found out that you either have to serve in the army or be a law graduate, President Putin straightened up his school work. He turned from his ways and focused on his studies. He finally became a member of the Young Pioneers organization in sixth grade and became the head of the Pioneer class. Post high school he enrolled in the Law Department of Leningrad State University. He was one of the ten who did not serve in the military before. Nonetheless, he was admitted to the university. In his official biography, he said, “We had a class of 100 people, and only 10 of them entered immediately after high school, the rest had already completed military service. So for us, the high-school graduates, only one out of 40 was admitted. I got four out of five for the essay, but top marks for everything else, so I passed.” He adjusted his goals and worked hard to finish his studies, putting sports second on his priorities. When he traveled to Germany for work, he met Lyudmila Shkrebneva. They were introduced by a mutual friend. They went out for movies during their dates. 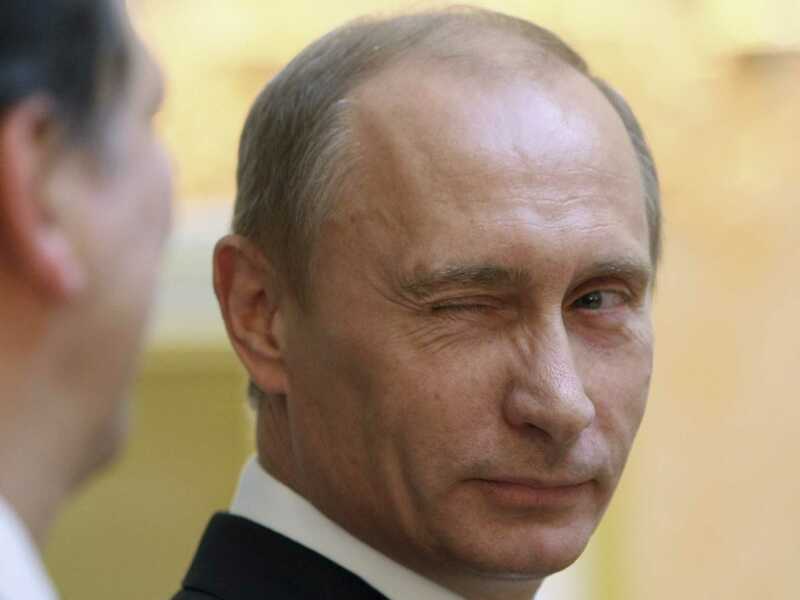 She even recalls, “There was something about Vladimir that attracted me. Three or four months later, I already knew this was the man I needed.” They got married on July 28, 1983, three years since their first meeting. 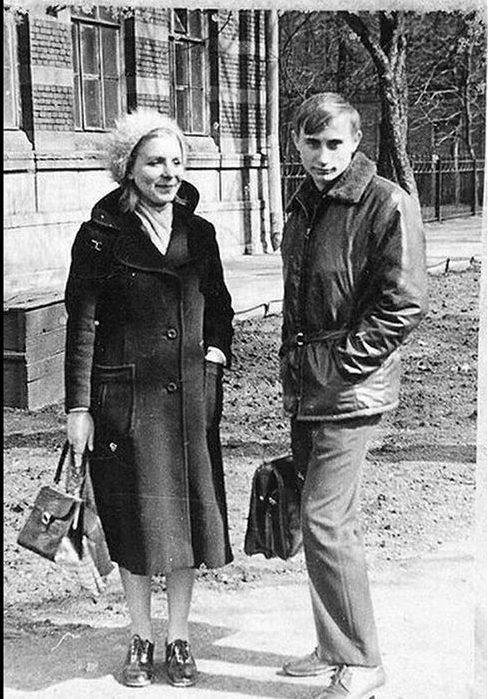 President Putin said that he knew that “if I did not marry for another two or three years, I would not marry at all” and that while he enjoyed the life of a single man, everything changed when he met Lyudmila. 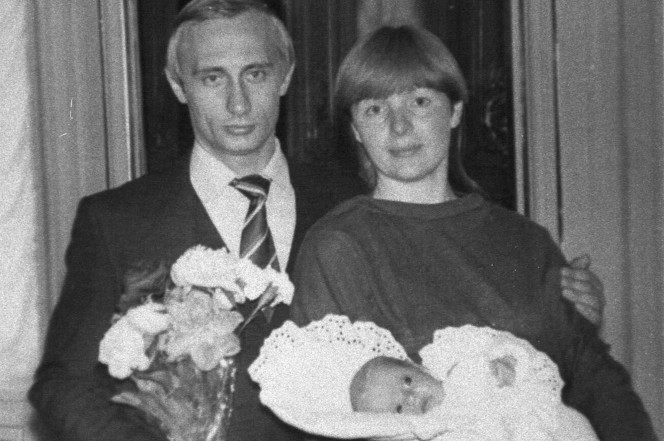 The former wife of President Putin was born Lyudmila Aleksandrovna Shkrebneva on January 06, 1958. Her father, Alexander Abramovich Shkrebneva, worked in a plant in her hometown of Kaliningrad. Her mother was Catherine Tikhonovna Shkrebneva. She earned her education at Leningrad State University earning a degree as a linguist. She worked as a flight attendant before she met President Putin. At some point during their marriage, she taught German at her alma mater and was the Moscow Representative of Telecominvest. She kept herself away from the public while President Putin was seated as president. After 30 years of marriage, Lyudmila and President Putin have decided to end their marriage. It was first announced on June 06, 2013 that they have come to a mutual agreement for the termination of their marriage. They both announced the news in public television. When asked about it in an interview, President Putin said, “It was a joint decision: We hardly see each other. Each of us has our own life.” Their divorce also ends her role as the First Lady of Russia, which has been seated since President Putin’s first term on May 7, 2000. It has been reported that she is now married to Artur Ocheretny since 2016. She has also legally changed her name to Lyudmila Aleksandrovna Ocheretnaya. Eldest of the two children is Mariya Putina born on April 28, 1985. She has a degree in International Economics at the Finance Academy in Moscow. None of President Putin’s children have gone out of Russia for educational reasons. Like her sister, she was also named after her grandmother and has no official photo released by the Russian government or media. However, she was pictured with her parents among other times that she was seldom spotted in public. It has been reported that she is already married to her Dutch boyfriend and Gazprom Executive, Jorrit Faasen. She was born on August 31, 1986, just a year after her older sister. She studied at the German School of Moscow and has now become an acrobatic dancer as well as the director of two initiatives at the Moscow State University. Her legal name before her marriage was Yekaterina Tikhonovna Shkrebneva. She has dropped her father’s last name and chose to use her maternal grandmother’s name. In February 2013, she married Kirill Shamalov in Igora, a ski resort, where they were in a Russian sleigh drawn by white horses. He is a petrochemical investor who, after her wedding with Katerina, has bought shares from Sibur, the largest petrochemical company in Russia. Katerina’s father-in-law and Kirill’s father is Nikolay Shamalov, the co-owner of Rossiya Bank, while Kirill’s brother, Yury Shamalov, is the deputy chairman of Gazprombank. Katerina is said to have an estimated net worth of $2 billion. It was in 1990 that he became the appointed adviser to Mayor Sobchak of Saint Petersburg. A year later, he became the Head of Committee for External Relations of the Mayor’s Office. He was in-charge in the promotion of internal relations and foreign investments. He took a big part in the administration of Saint Petersburg during the period of 1990 to 1996. But when Mayor Sobchak lost the elections in 1996, President Putin went to Moscow to take on the position as deputy chief of the Presidential Property Management Department. The following year, then-President Boris Yeltsin appointed him as the deputy chief of the presidential staff. He held more positions while he was deputy chief and replaced other people who once held those positions. In 1999, he became one of the three first prime ministers of Russia after he became head of the Federal Security Service of the Russian Federation and a member of the Security Council of the Russian Federation. He assumed the position after Sergei Stepashin and his members were replaced by then-President Yeltsin. He was also chosen as the successor to the position of the president. Just three months after he was seated as prime minister, then-President Yeltsin has announced his resignation, which made current-President Putin the acting president of the Russian Federation. Due to this, the initial elections were moved three months from its original date. Nonetheless, he won the election in May 2000. When he officially became the president, he appointed Mikhail Kasyanov as his prime minister and made sure to bar any political ambitions of the oligarchs from the previous government. He entered a “grand bargain” with the oligarchs of Russia in order to gain their support while keeping the current power they already had. During his first term, he was put under scrutiny for his actions of the Kursk Submarine Disaster. The ship sunk and exploded during the first major naval exercise. It took seven days, with the help of the British and Norwegian divers from the fifth day, to open the escape trunk. However, all crew of the Oscar-class submarine Kursk were dead. He was again the center of attention when he demanded to change the Russian National Anthem. He decided to restore the music of the post-1944 Soviet anthem with new lyrics to it. The music was arranged by Alexandrov while the lyricist Sergey Mikhalkov wrote the lyrics. As of date, this new anthem is used by the nation. In 2002, the tragic Moscow theater hostage crisis has again challenged the leadership of President Putin. It is also commonly known as the 2002 Nord-Ost Siege that lasted for three days since October 23, 2002–October 26, 2002. Both Alpha and Vega Groups of the Spetsnaz (Russian Special Forces) together with the Special Rapid Response Team used a chemical component and pumped it into the ventilation system of the building to rescue the hostages. All 40 Chechens died but about 130 hostages including nine foreign individuals died due to the chemical. Two of the victims were killed by the Chechens. President Putin ran again for his second term in 2004 but not before replacing his prime minister with Mikhail Fradkov and the defense minister with Sergey Ivanov. He was elected again on March 14, 2004. 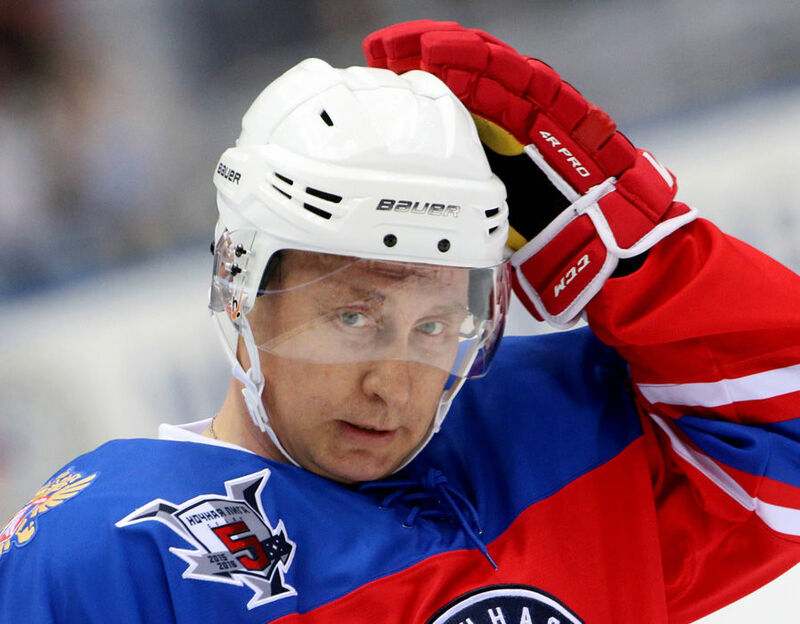 When his second term ended, President Putin could not run for his third term based on the Russian Constitution. His successor, Dmitry Medvedev, became president while President Putin was appointed as prime minister. This was branded as “power switching” by some of his critics. He was elected back to the presidency on March 4, 2012, after much protest and accusation of rigged elections. He signed 14 presidential decrees after he took oath in May 2012. Within the years of 2012 and 2013, he was able to get the support of United Russia for the banning of gay propaganda. It prohibits rainbow flags among other LGBT symbols as well as published works with gay content to be displayed in public. The anti-gay law is “for the Purpose of Protecting Children from Information Advocating for a Denial of Traditional Family Values” was highly criticized by the LGBT community of Russia. 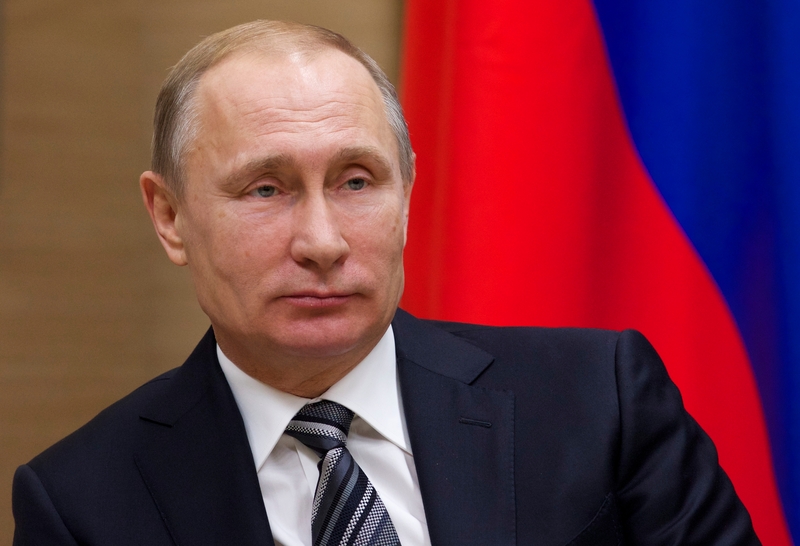 It is common for the decisions and decrees of President Putin to raise eyebrows. One of the many problems he faced was the tension between Russia and Ukraine after Russian forces had entered Ukrainian Territory. Under his control, Russian elite forces were also deployed in Syria as a form of intervention. This is a response to the call for help of the Syrian government after jihadist groups and rebels have invaded the nation. President Putin’s name was also involved in the 2016 US Election. The Democratic party of the United States has accused him of meddling with the elections. The U.S. intelligence committee alleged that he has influenced the result in favor of U.S. President Donald Trump. 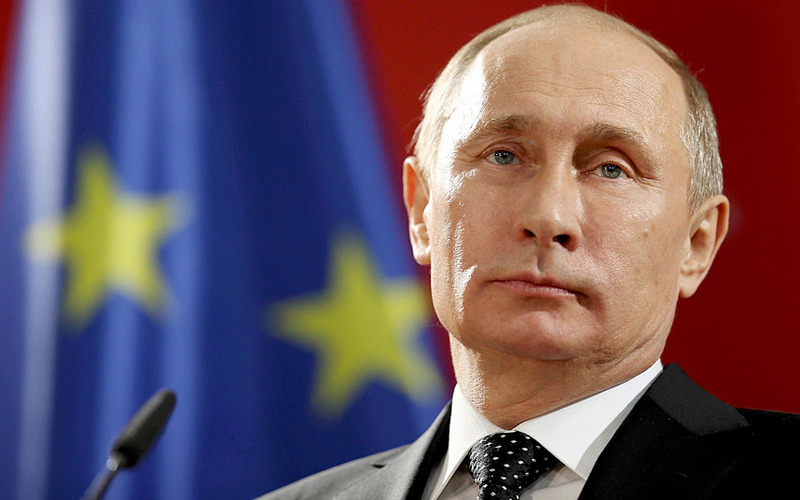 However, President Putin himself has denied the accusations. Apart from his work as president, he also spends his time in outdoor sports. This includes but not limited to horse riding, military jet flying, drafting, fishing, and swimming in the ice-cold Siberian river. He is still also active in practicing martial arts. He was also seen tranquilizing tigers and polar bears, driving F1 race cars and motorbikes, scuba diving on archeological sites, and other death-defying activities. 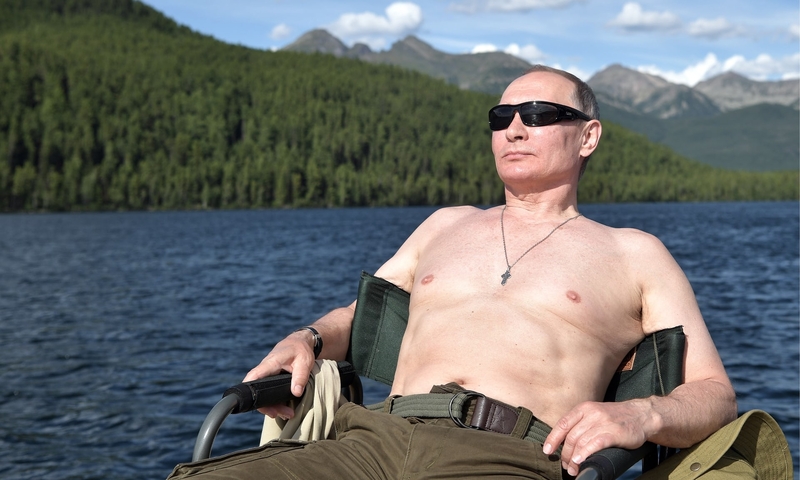 Due to this “macho” image, his name is often associated with brands and products like vodka and canned goods. He also likes animals and has two dogs named Buffy and Yume. When asked about his religion, he responded “There are things I believe, which should not in my position, at least, be shared with the public at large for everybody’s consumption because that would look like self-advertising or a political striptease,” but he also publicly stated that he has his religious awakening after his wife was involved in a car crash in 1993 and when their house burned down in 1996. His mother gave him his baptismal cross and he had it blessed during his visit in Israel, which he wore and has never taken off since then. Russian Orthodox Bishop Tikhon Shevkunov is his rumored confessor.